RYAN LONG, TORONTO’S PETER PAN? IS RYAN LONG TORONTO’S “PETER PAN”? 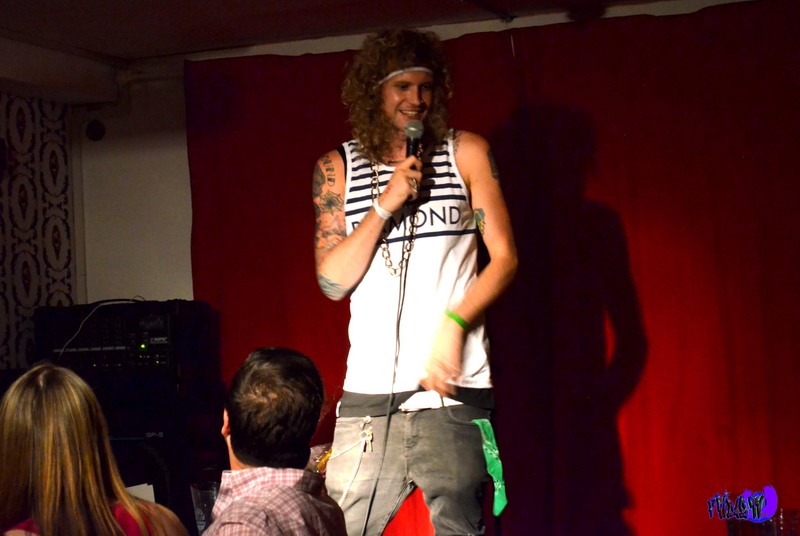 Last week I caught up with Ryan Long before his stand up charity gig at Tallboys. Initially the interview was to be shot at a different location but I was late, so too bad for me. I agreed to cover Long’s work because he does mostly everything himself and I respect that, I’m the same way. Thank the Lord he was a character because I really don’t like boring interviewees. The standup set was fairly short but he made the whole room giggle with glee. A few more joke refinements and he will be funnier than Tom Green! My comical knowledge goes way back to when my Dad introduced me to the world of comedy with Greek comedian Stathis Psaltis, followed by American comedians Andrew Dice Clay and Eddie Murphy. Recently at Yuk Yuk’s I was heckled by Canadian comic Tom Green and that was the funniest part of his set. He really doesn’t have jokes, I think it’s because he’s been around so long people just assume he’s hilarious. He’s funnier when heckling people. “Daddy would you like some sausage”? 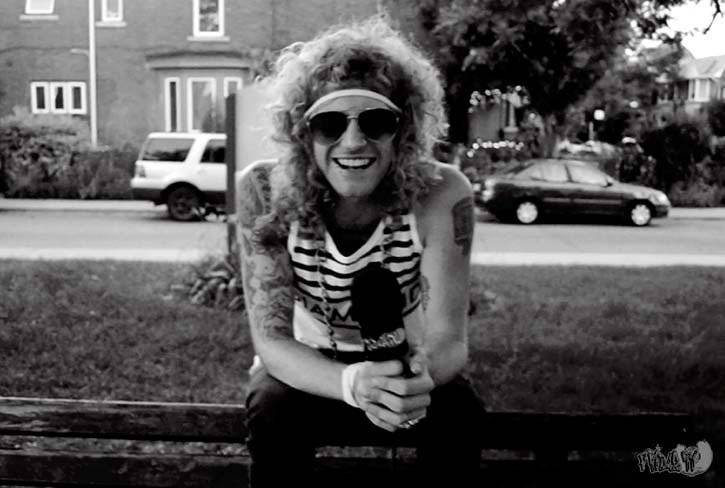 Long is mostly known as the curly haired Vox drummer of his band “The Johnstones“. He is a prime example of not judging a book by its cover, this comical music Larry is running the show…In his latest creation “Ryan Long Is Challenged”, Long is the only contestant to complete random tasks for a prize, you can catch it on BiteTV Sundays at midnight. After interviewing, watching his stand-up set, two episodes of “Ryan Long Is Challenged” at the screening and the one I missed, I can honestly say Long is a funny guy. But, if you’re going to be “Toronto Peter Pan” you need to create a costume…Hope you’ve taken care of that hernia! Long’s TV shows, comedy sets and jams with his band are definitely worth your time! As I was editing the interview below to perfection, I purposely re-added the errors I fixed because I’m trying not to be perfect all the time ha ha! Hope you all enjoy a few clips from the set and the herniation of “Toronto Peter Pan”.